Special thanks to Matthias Hoffmann for providing information on the German Field Army in 1917. 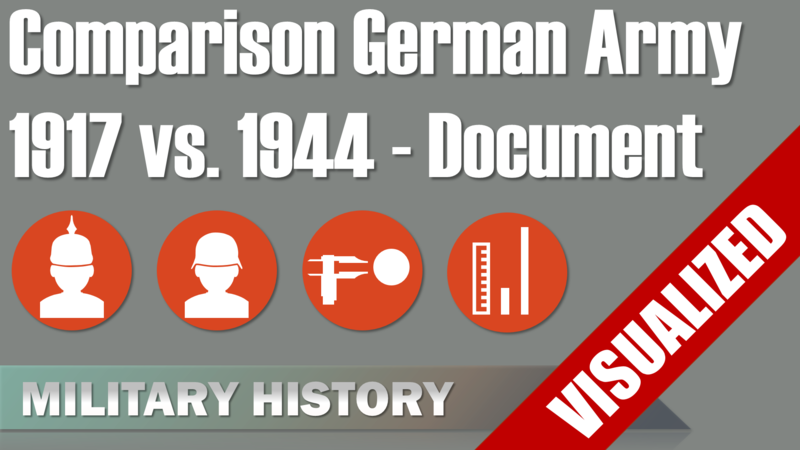 The title of this video may appear like click bait, yet actually it is the short version of a document from the organization department of the German Army’s Generals Staff in July 1944. What is the Field Army? Now, you probably want to know what is the difference between the Army and the Field Army? Well, the field army is the part of the Army that does most of the killing and dying, one could say the field army is out in the field. For some contrast, other parts of the army would be the Reserve Army (Ersatzheer) or the Occupation Army (Besatzungsheer). So, since we got that covered let’s get started. In terms of the front lines the Western Front in 1917 had a length of 650 km, whereas in 1944 it was 151 km, yet this only covered the invasion front not the coast lines. The Italian the front was 450 km in 1917 and 281 km in 1944. Yet, the huge difference was of course on the Eastern Front with 1700 km in the First World War vs 2720 km in 1944, whereas the later number does not include the front lines in Northern Finland and Norway. In total the 1917 front length was 2800 km, whereas the 1944 front length was 3152 km. Now, let’s look at the number of divisions next. On the Western Front in 1917, there were 148 German divisions, whereas in 1944 there were 60 division of those 22 division were on the invasion front. On the Italian Front there were 54 Austro-Hungarian divisions in World War 1, whereas in 1944 there were 22 German divisions and 1 foreign division, for a total auf 23 divisions. On the Eastern Front in 1917 the Germans were probably not up to modern diversity regulations, but still a quite mixed composition with 82 German, 43 Austro-Hungarian, 3 Bulgarian and 4 Turkish division, in 1944 there were 128 German and 36 allied division. 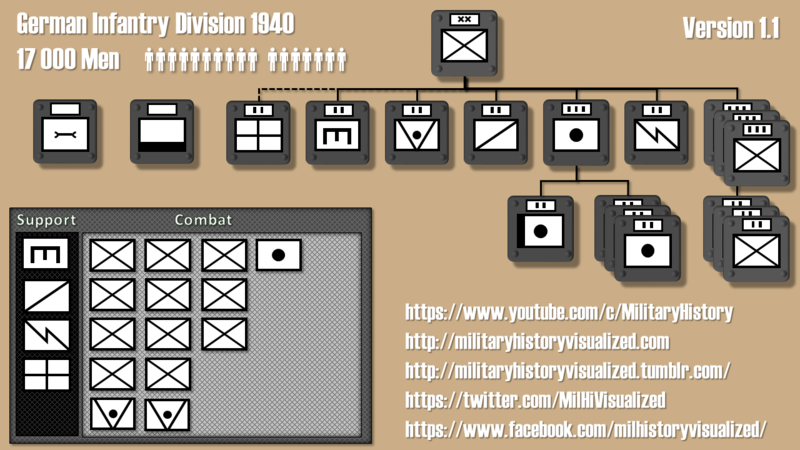 Thus in total of 132 and 164 divisions for the Eastern Front. 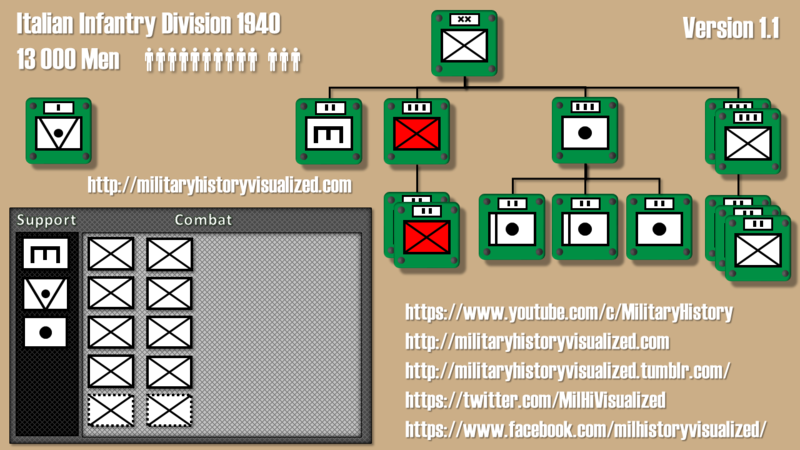 If we add all these numbers together we get 334 Division for 1917 and 247 division in 1944. Thus there is a total difference of 87 division. Additionally, you can clearly see that in World War 2, the Eastern Front was the most important frontline, whereas in the Great War it was the Western front. 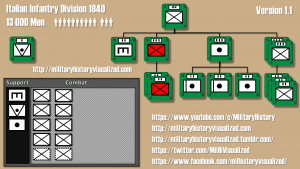 Now, the total numbers of men in the field army are from December of the previous year, because in the document there are only the numbers given for December 1943 and the number for the First World War is missing, but thankfully someone provided proper sources for the First World War. Now, the total number of men in the field Army in December 1916 were almost exactly 4.8 million (4 799 095), whereas in December 1943 it were about 4.3 million (4 270 000). Note that this difference is considerable smaller than the gap of 87 division, because these numbers only account for the manpower of the German Field Army and not their Allies. Now, since we have the total numbers of men and front lengths, let’s see how the many German soldiers were available for each front kilometer. Although note that the total numbers of men are from December 1916 and 1943, whereas the front lengths are from July of the following years. So this part is more about giving you a general idea on the situation than historical accuracy. Note that these numbers are only for the German soldiers and don’t include the manpower of all Axis Forces in Europe, which had considerable more manpower in World War 1, thus the difference in men per front kilometer was even more significant. A German infantry battalion of 1917 had a required strength of 750 men [NOTE: That before the number was 1050 before and changed to 850 in 1918.] (Nash, David: German Army Handbook April 1918, p 44) As a result about 2.3 infantry battalion per front kilometer. Now, since a German infantry battalion of 1944 had a required strength of 700 men (708). (Keilig: Bl. 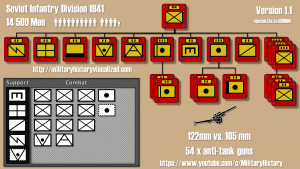 101 – V 64) This means a little less than 2 infantry battalions per front kilometer. Total Manpower of the German Army in 1916/1917? Time to talk about the famous the German assault guns or as they are called in German “Sturmgeschütze”. Now this video is more about the branch and organization and not individual vehicles. Thus, the name “assault artillery”, because this is the translation of the original name for this branch in German which was “Sturmartillerie”. 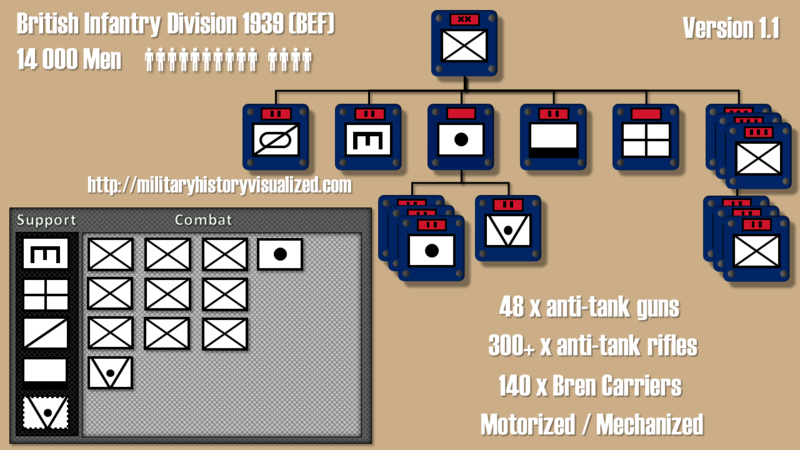 1) Independent Tank division with their own organic infantry and artillery units to support the tanks. 2) Independent Tank Brigades that consisted only of tanks and that were under the authority of the Army Command to allow for the localized concentration of force. 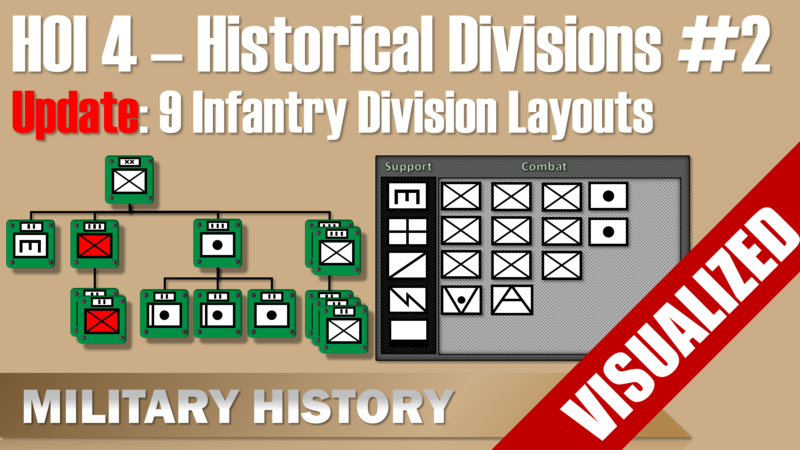 3) Regular Infantry division with organic assault gun units to support the infantry units. 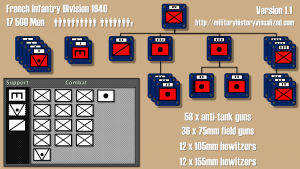 Now, the important part here is that the assault gun units should be an organic part of the infantry division. Why is this important? Well, organic divisional units are trained with the division and stay with the division all the time. 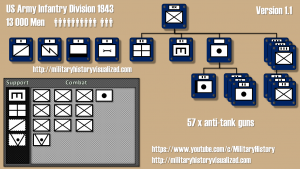 This means, that other division units are familiar with these units and are also trained in operations where the various different units supported each other, thus everyone involved knows of the strength and weaknesses of the units. Although the assault guns were originally intended for infantry support, their role changed on the Eastern Front. Soon they were used more and more as tank destroyers, because the German anti-tank guns with 37mm and 50 mm were simply not able to deal with the T-34 and KV-1, although in Summer 1942 the 75mm Pak 40 was introduced this gun was too heavy to have tactical mobility. Now, some of you might wonder, what about the various other variants of German armored support vehicles with large guns that were similar to assault guns, like the Sturmpanzer “Bison”, the Sturmpanzer 38(t) “Grille” and of course the “Sturmtiger”? Well, those were all parallel developments by the German Tank branch. Now, there is one question that military historians up to this day haven’t answered yet, namely what is the difference between Thug Life and StuG Life? Well, first, the German accent and second, organization, organization , organization, so here we go. 1 battery headquarters, 3 Platoons, an lightly armored ammo column, a transport unit and a maintenance squad. 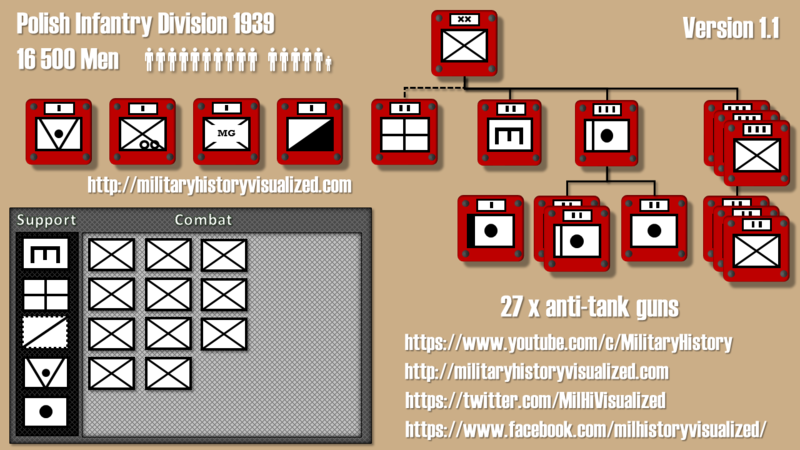 Each of the three platoons consisted of just of 1 observation halftrack, 2 StuG III and 2 ammo half tracks. Now, this is a rather odd setup, because the headquarters unit actually is only equipped with an observation halftrack, whereas armored headquarters units usually had a similar vehicle than their combat units. 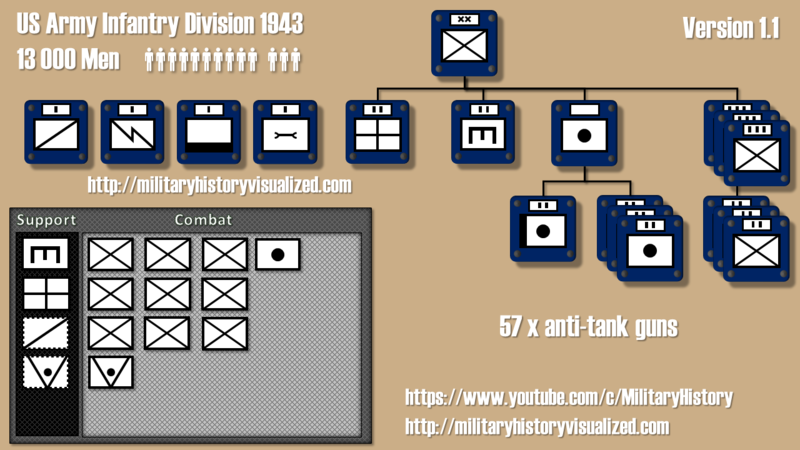 In total the unit had 5 light observation vehicles, 6 StuGs, and 6 light armored ammo carriers. Note that this was an intended organization that was probably never achieved due to a lack of proper halftracks, which to a certain degree were replaced by trucks in the following layouts. Now, the 1941 version was quite similar, a major change was the addition of the 7th StuG in the headquarters unit. Furthermore for this unit, I have some data on men & equipment. In total there were 5 officers, 1 official, 37 NCOs and 83 enlisted men. 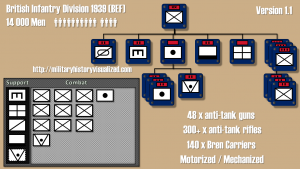 Additionally, 9 light machine guns, 17 trucks, 6 cars, 7 StuGs and 3 light armored ammo carries. As you can see the early batteries were quite small with only 2 guns, this number increased throughout the war. 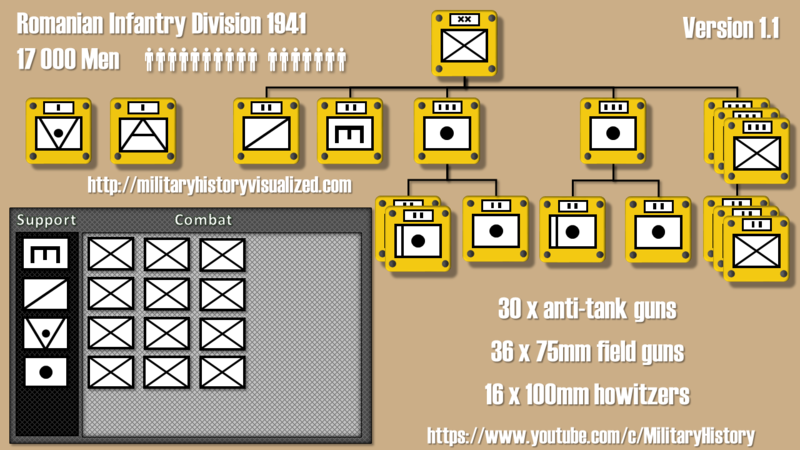 Now, let’s take a look at the organization of an assault gun battalion from November 1942. It consisted of a headquarters unit and 3 assault gun batteries. Each assault gun battery consisted of a headquarters unit, 3 platoons and a transport unit. Now each platoon now had 3 StuGs and each headquarters unit one Stug, now if add the multipliers, we get a total of 31 StuGs. 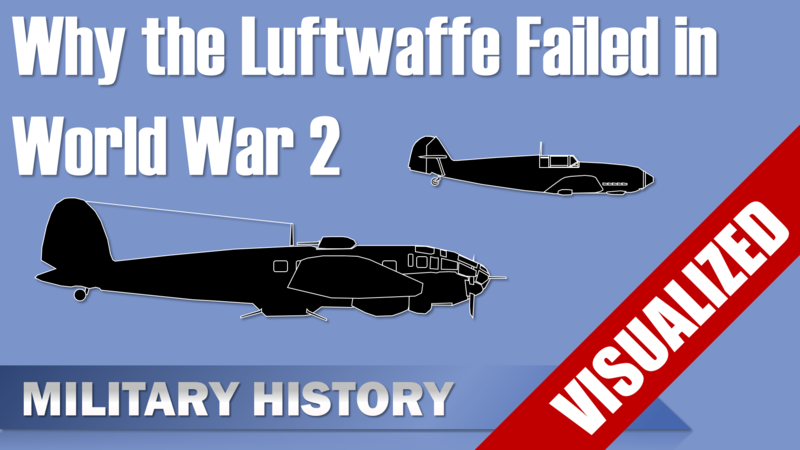 Finally, let’s take a look at a late war unit. One of the latest organizations was the “Heeres-Sturmartillerie-Brigade” which means Army assault artillery brigade from 1944. It consisted of a brigade headquarters, 3 assault gun battalions and 1 support grenadier Battery. Each of the assault gun battalions consisted of a headquarters unit,1 assault gun battery and a transport unit. Finally, the assault gun batteries consisted of 2 assault gun platoons, 1 assault howitzer platoon, an ammo column and 1 maintenance column. Now, if you think this is overly complicated, well, you might be right or you may not be German enough. Anyway, each assault gun platoon consisted of 4 StuGs, whereas each assault howitzer platoon consisted of 4 assault howitzers. Now, let’s take a look at the whole unit. The headquarters units together consisted of 9 vehicles. 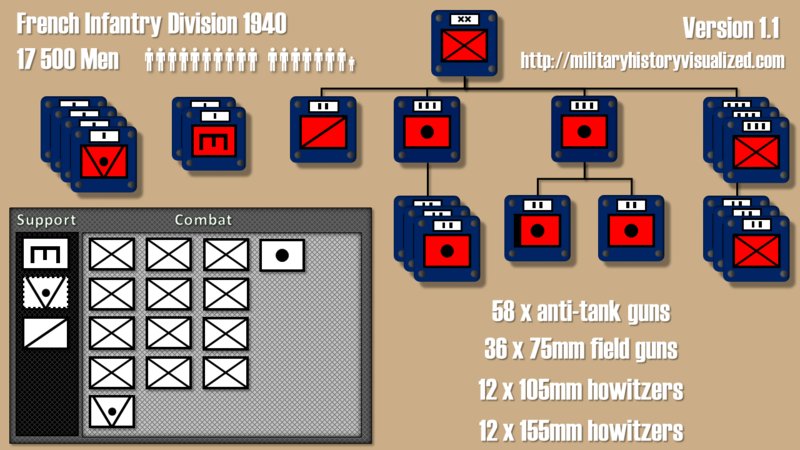 Whereas the Combat platoons for each Battalion had a total of 12 vehicles. Together there were 30 assault guns and 15 assault howitzers in the brigade. 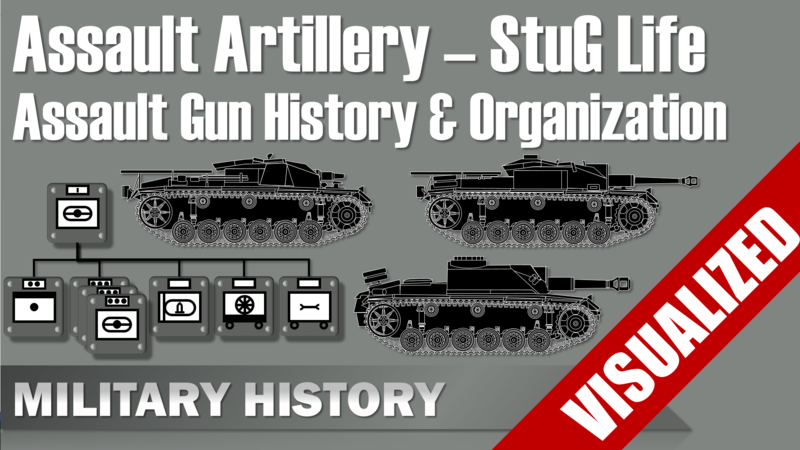 To summarize, the original concept for the StuG was to be a direct fire support weapon for the infantry, especially in the attack against enemy defensive position. The StuG combined mobility, firepower and protection, additionally since it was part of the artillery branch, its members were better trained in firing and also are more accustomed to support infantry units, unlike regular tank units. Due the lack of proper tank destroyers the StuGs were used quite often as tank destroyers, for which it was also ideally suited due its strong frontal armor and low silhouette, although this was not their initially intended role. Ultimately assault gun units were also added organically to infantry divisions, but at this stage the German side was on the defense, thus the StuG was mainly used as a tank destroyer and not its original role supporting infantry in offensive operations. 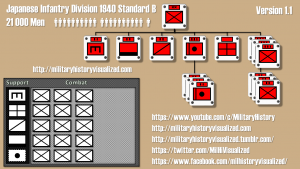 Now in terms of organization and structure, a German Infantry division in 1914 consisted of 2 Infantry brigades, which themselves consisted of 2 Infantry regiments each, which consisted of themselves of 3 infantry battalions and 1 MG Company. Furthermore, the division had one artillery brigade, which consisted of 2 artillery regiments, which consisted of 2 artillery battalions each. Additionally in some cases there were also cavalry, engineer and medical units attached. This structure is quite abstract, so to get a better grasp on it in terms of men, let’s get one level lower. 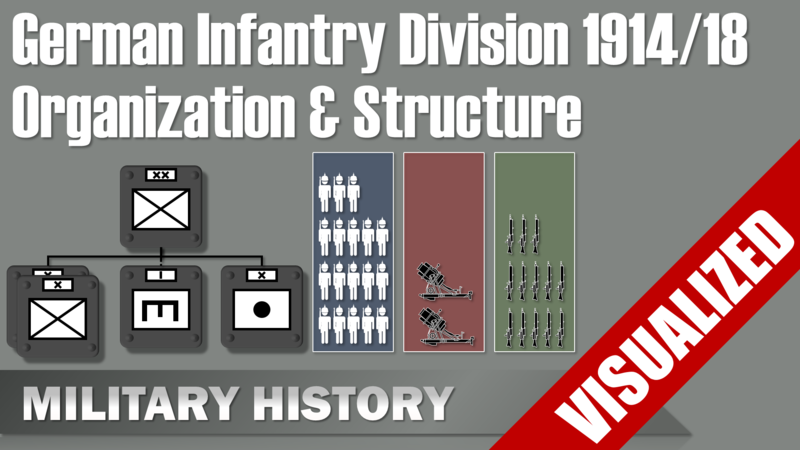 Each Infantry battalion consisted of 4 infantry companies. 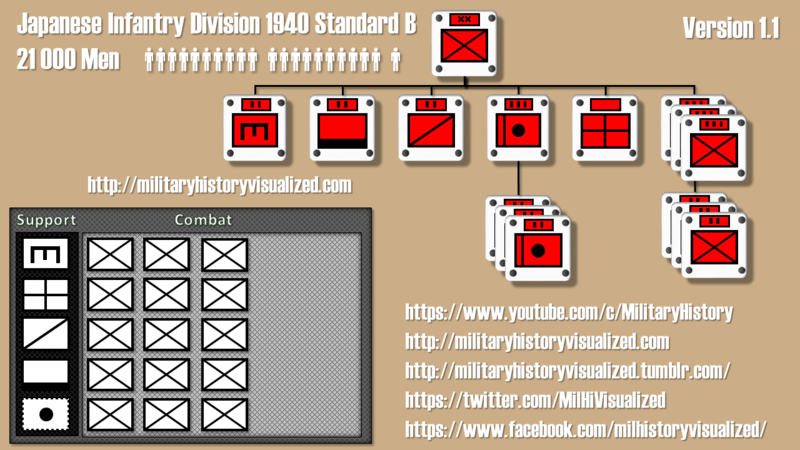 Since a division had 12 infantry battalions there was a total of 48 infantry companies. Such a company itself consisted of 150 men in peacetime, yet was increased to 270 during wartime. This meant that around 13000 (12960) of the 18000 men served in the Infantry companies. 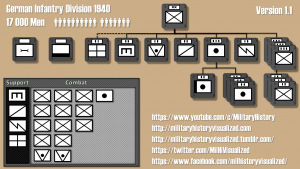 There were many other changes throughout the war concerning the division layout, some were to deal with the change in necessities of the war and others about strategy. To note a few changes, there was the addition of a permanent medical company in 1916 and the increase engineer companies throughout the war. But probably the greatest change was in terms of equipment. 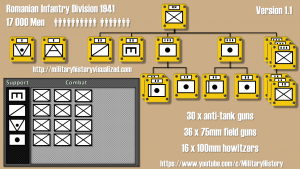 To give you a short impression on how much an early-war Infantry Division was different from a late-war Infantry division, let’s revisit the initial numbers and compare them to a division that was intended for offensive operations in 1918, the so called “Mob-Division” or “Angriffsdivision”. The early war division had around 18000 men, whereas the late war had 15000 to 16000 men, note that the second number is an estimate by an expert on this topic. In terms of horses there was a decrease from 4600 to 4300, since the attack divisions received more horses than regular divisions the number of horses in overall decreased to greater extent than this display might suggest. In terms of light machine guns there was an increase from 0 to 180. Furthermore, the number of heavy machine guns also increased from 24 to 108. Whereas in terms of light field guns the number of 72 was halved to 36. Yet, there was a significant change in other artillery weapons, whereas the early war division relied solely on light field guns the 1918 division had: 12 heavy artillery guns, 18 light mine launchers and 6 medium mine launchers. Note that the mine launcher in German is called “Minenwerfer” meaning literally “mine thrower”, which is the old German name for a mortar. 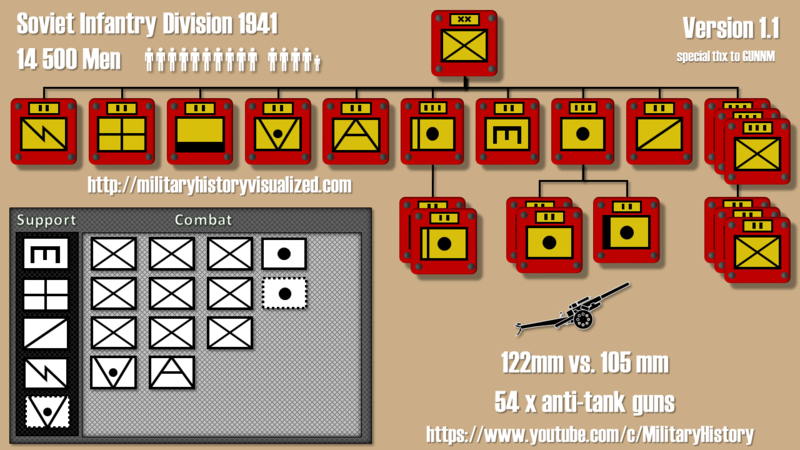 As you can clearly see, the number of machine guns increased substantially by more than 10 times from 24 to 288 machine guns, thus several times multiplying the amount of firepower of the division. To illustrate in 1914 there was one machine gun for every 750 men. Whereas in 1918 there was a machine gun for every 56 men. 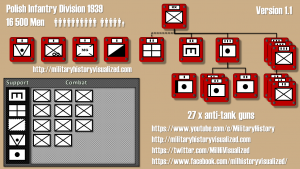 The number of artillery pieces in total didn’t change and stayed at 72, but the number of types was increased and thus resulted in a far more versatile artillery force. The heavy artillery provided more firepower and the mortars allowed for short range indirect fire in close coordination with the infantry, thus the overall flexibility and effectiveness of the division was increased without increasing the total number of artillery pieces itself.